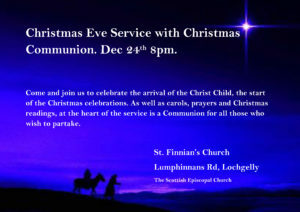 We invite you to celebrate the arrival of the Christ Child, the start of the Christmas celebrations, by joining us at 8.00pm on Monday 24 December for our Christmas Eve service. As well as carols, prayers and Christmas readings, at the heart of the service is a Communion for all those who wish to partake. Click here for a downloadable poster.